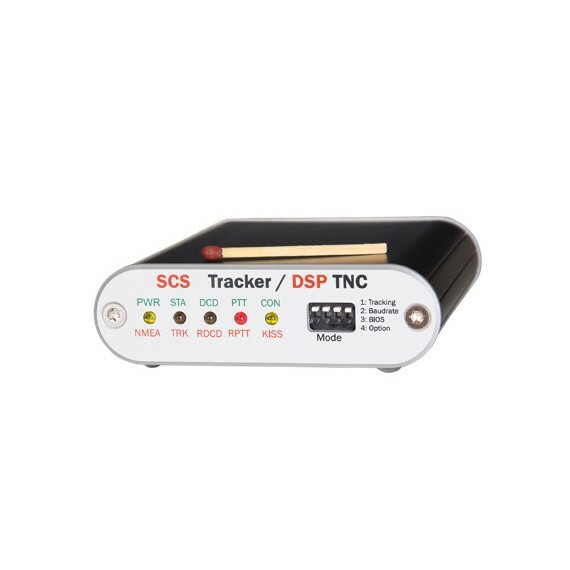 “Tracker/DSP TNC” Ble designet av SCS spesielt med tanke på overføring av GPS posisjoner og andre repeterende datset. Enheten har egen inngang for en NMEA basert gps, og raporterer dette videre til senderen. 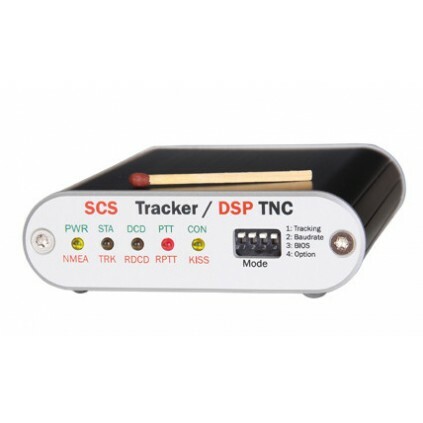 •Universal TNC and APRS position tracker with DSP, USB-connection, output to control a switching relay (e.g. to switch the radio's power supply). NMEA input/output for GPS data, bi-coloured LED's, 4 DIP switch for the basic configuration. •Optically isolated USB-connection to the computer, generally well filtered I/O's to avoid hum and susceptibility in HF environments. Metal case. 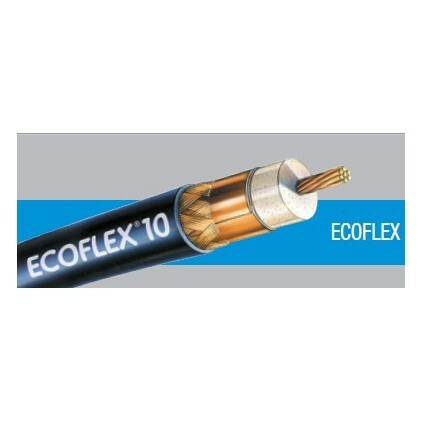 •Use of temperature stabilized oscillator (TCXO) for high reliablilty under all temperature conditions. •10..20 V DC supply power, use of highly efficient internal power regulators. •Mini-Din connector, compatible to the usual transceiver "Packet-Connector". •Currently implemented protocols: Generally AX.25, level 2. •300 baud AFSK (old HF-Packet standard) with new developed multi-detector: The DSP automatically processes a frequency range of +- 400 Hz looking for 300 bd transmissions and receives all detected signals in PARALLEL. No exact tuning by the user is necessary any more, but always perfect reception! Very important feature for automatically operating HF APRS gateways. •200/600 baud "HF Robust-Packet", 8-tone PSK, 500 Hz bandwidth, automatic frequency tracking (RX) +- 240 Hz. •1200 baud AFSK (standard Packet-Radio) with special filtering to avoid adjacent channel interference, and degradations by AC hum. •9600/19200 baud direct FSK (G3RUH compatible) with optimized DC removal by the DSP. Position tracking mode to be activated by DIP-switch. Transmission of fixed or via NMEA (GPS) given position in free programmable time intervals in APRS format. Here the Tracker operates in "sleep mode" and just draws 15 mA of current (@ 13.8 V). Shortly before the next scheduled transmission it wakes up, switches on the radio, checks the channel for occupancies (DCD) and transmits the APRS datagram as soon as the channel is free. Afterwards the radio is switched off again and the Tracker enters "sleep mode". •Operation modes and transmission level (audio) are adjustable by software command. •Firmware upgrade via USB connector. Firmware stored in Flash-ROM, thus easily expandable for new operation modes with free of charge updates. •KISS (compatible to all common KISS programs like e.g. UI-view). •Small size, just 82 x 24 x 98 mm with 161 g of weight. •Low power consumption (ca. 70 mA @ 13.8 V in regular operation and 15 mA in Tracker sleep mode).